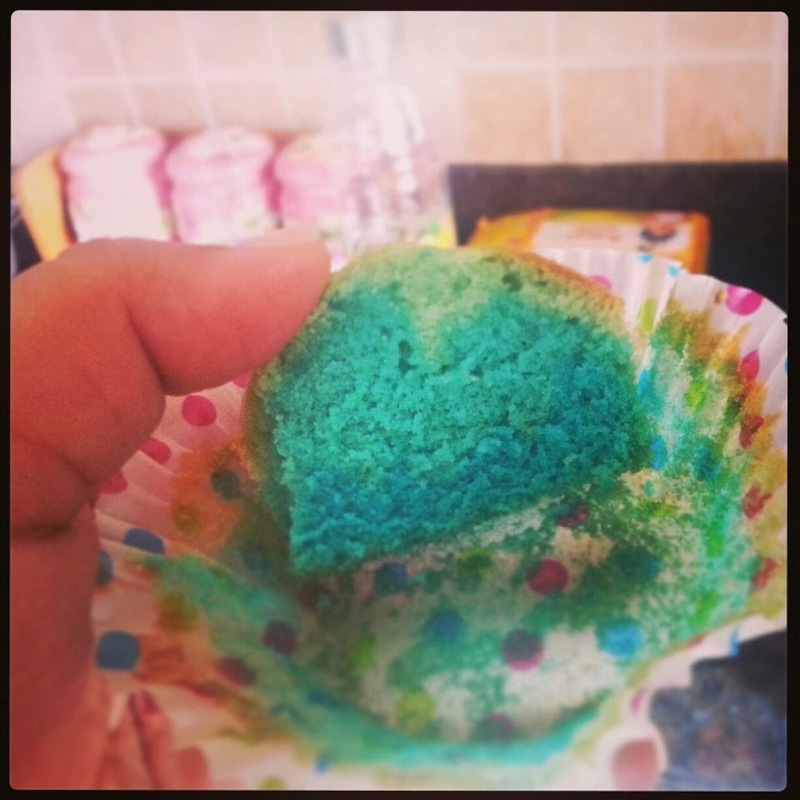 To make Blue Ombre Cupcakes all you need to do is separate your batter into three equal quantities before you mix the colour in it. In this case I increased the number of drops to get a deeper colour. Start off with 1 drop in first mixing bowl, to two in the next and three in the last one. You can choose to add more colour to deepen the shade. Then put this mixture in three separate piping bags. 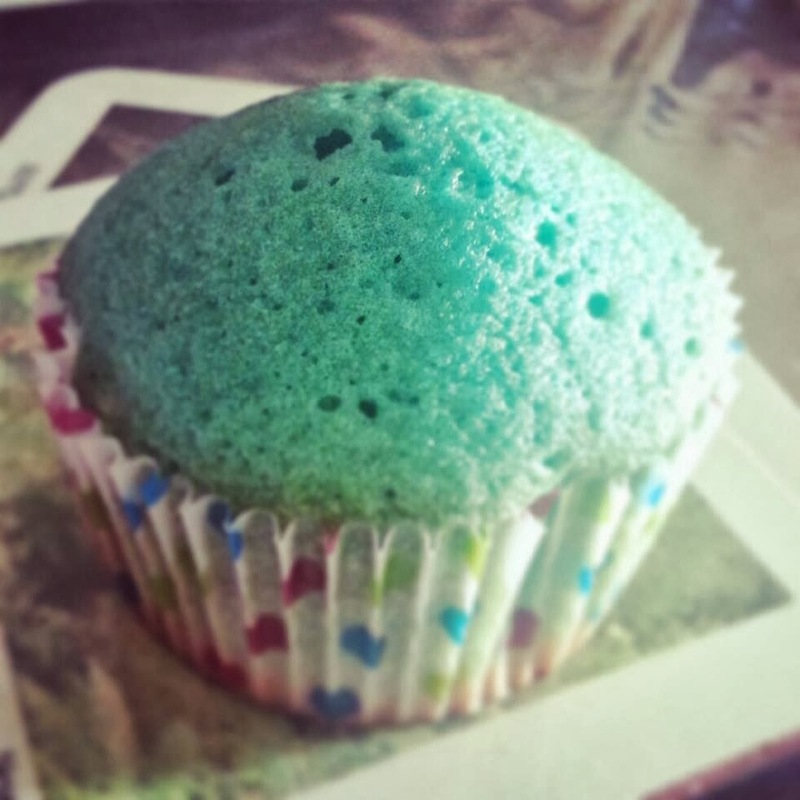 To fill your cupcake liners, start with the darkest tone and give it a light squeeze filling 1/4 of the liner. Then use the middle tone, squeeze till it fills 1/2 of the cupcake liner, followed with the lightest tone till it fills 3/4 of the cup. Now bake as per your recipe. Soon you'll have a cupcake that looks like this on the outside. The cupcake will like this on the inside. 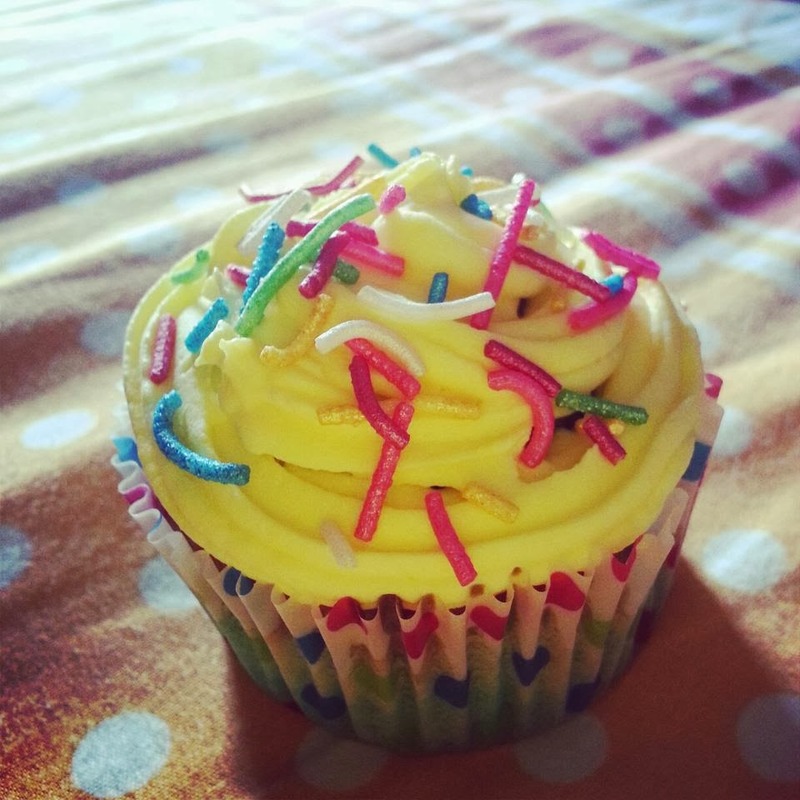 You can choose to decorate the cupcake with butter-cream like I did.